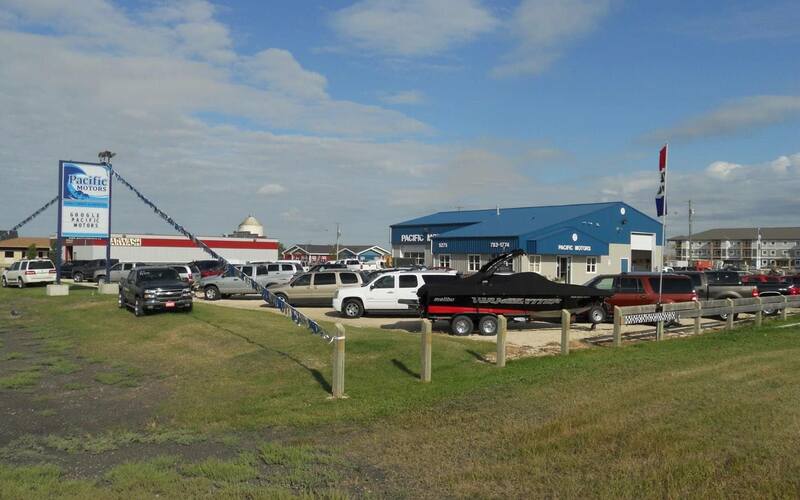 Pacific Motors is a used car dealership located in Headingley, Manitoba, just 5 minutes outside of Winnipeg. We offer a large selection of used cars, trucks, SUVs, vans, sedans and hatchbacks from a variety of brands including Ford, Chevrolet, Honda, Hyundai, Toyota, GMC, Jeep, Kia, Mazda, Nissan, Pontiac, Buick and more! Make Pacific Motors your used car dealership of choice! We look forward to helping you with all your automotive needs! Pacific Motors is a proudly family-owned and operated car dealership, and has been since we opened in 1981. In 2006, Pacific Motors moved from it’s Ellice Avenue location and relocated to Headingley where owners Brian and Sheryl King live with their 5 children. Throughout the last 35+ years in business, Pacific Motors has worked hard to maintain our values of honesty, integrity and excellent customer service. Pacific Motors continues to provide customers with the best purchasing, transportation and service experience in the automotive industry. We pride ourselves in being a professional, non-pressure sales environment. Our goal is to help our customers confidently purchase the right vehicle for them. Pacific Motors is a 30 year member of the BBB with an A+ rating, as well as the Manitoba Used Car Dealership Association and the Headingley Chamber of Commerce.